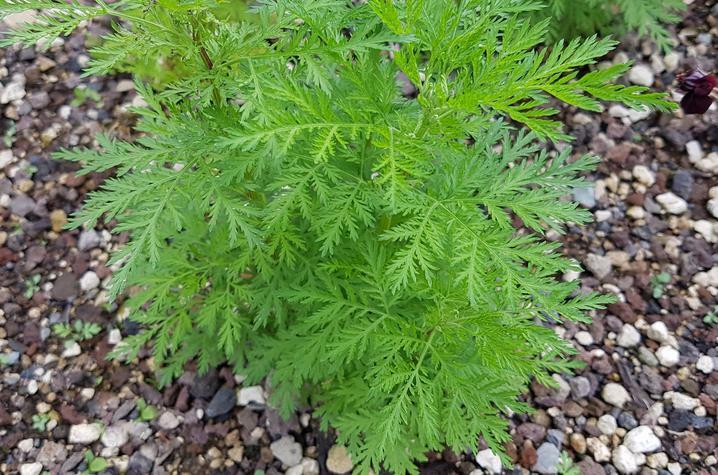 LEXINGTON, Ky. (March 29, 2018) — University of Kentucky College of Agriculture, Food and Environment researchers will grow the malaria-fighting plant Artemisia annua, as part of a cooperative agreement with the German company ArtemiFlow. Artemisinin-based therapies are the most effective malaria treatment used throughout the world; however, supplies of artemisinin have been unreliable in recent decades. UK’s portion of the project will be led by researchers with the Kentucky Tobacco Research and Development Center. KTRDC researchers are collecting seeds from various Artemisia lines and will grow transplants in the greenhouse followed by field trials. The ultimate goal is to identify lines with high levels of artemisinin and use them to develop a new crop opportunity for Kentucky farmers. ArtemiFlow uses proprietary technology developed at the Max-Planck Institute to improve the efficiency of artemisinin production from plants. This new technology could greatly reduce production costs. ArtemiFlow plans to build an extraction facility in Kentucky. In addition, ArtemiFlow is interested in partnering with UK to explore additional medical uses for artemisinin. Kentucky House Majority Leader Jonathan Shell, of Lancaster, helped connect UK and ArtemiFlow. “Rep. Shell is familiar with our mission to explore new crop opportunities for Kentucky, and the collaboration with ArtemiFlow fits well with this goal,” Chambers said. Shell is pleased with ArtemiFlow’s agreement to work with KTRDC to commercialize their breakthrough in the production of antimalarial drugs. ArtemiFlow’s goal is to make Kentucky the world’s leading producer of artemisinin-derived medicines by combining the efficiency and cost savings of the chemical manufacturing technology and the state’s highly-skilled and innovative farmers.